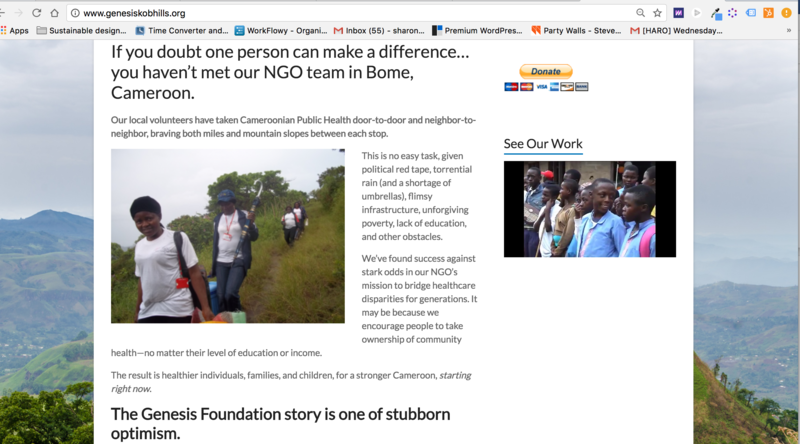 When Genesis Foundation Kob Hills approached me about writing a new website, I knew it was a large undertaking, which is completely fitting for this client. 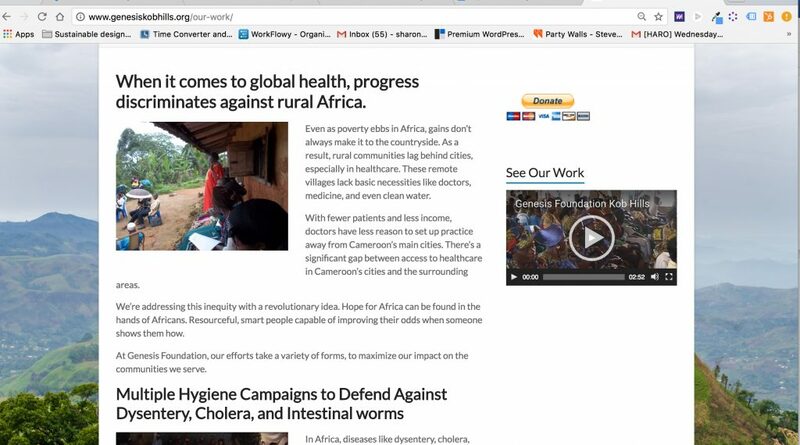 Screenshot of my writing for Genesis Foundation Kob Hills, a non-profit working in rural Cameroon. You see, this organization has accomplished a lot and started with almost nothing. 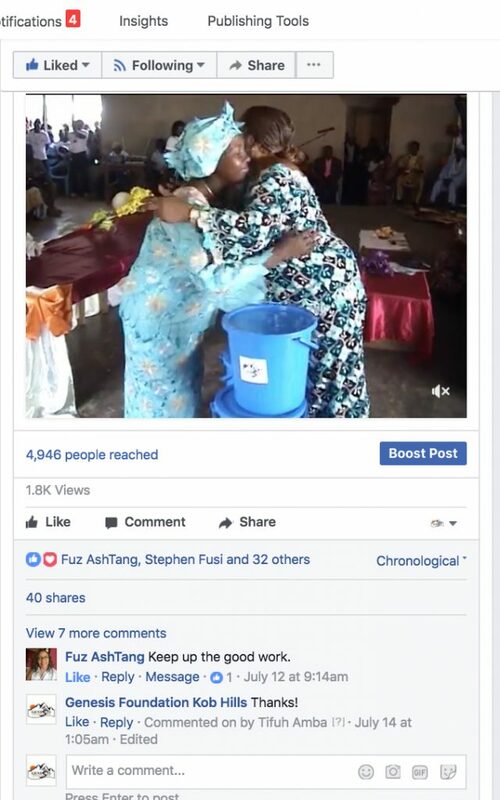 I needed to explain their mission (to bridge healthcare disparities for generations in rural Cameroon) and why it matters, as well as describing the tactical work. Plus, there’s a lot of competition in this sector, so this is definitely high-pressure writing. 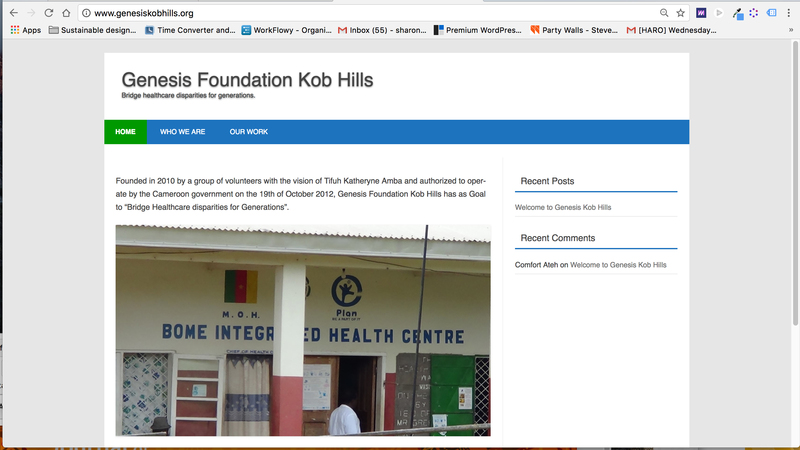 Simply put, Genesis Foundation Kob Hills is not like other organizations and I needed the reader to know that. A big part of my job as the writer was carving out the story from the work on the ground. Genesis Foundation didn’t have engaging copy yet. They had some writing that was technically accurate, but failed to induce awe in the reader, which they deserve. Be sure to check out my before and after at the bottom of this page. It’s part Cinderella story, part common sense. This balance is critical because people are skeptical of non-profits. Forget being efficient with money, today’s donors need reassurance that you’re really making lives better–not worse. If things look too magical or fairy-tale like, donors put their guards up. I made sure the biggest points of credibility were clear. This is an organization founded by a proud Cameroonian and doctoral prepared nurse. 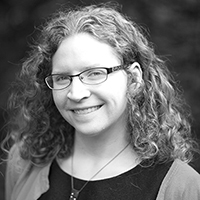 She works with local communities, for true sustainability. I made it possible for them to take donations online. That stock photo on the back of the site shows their territory in Cameroon. Africa is not all the same–details matter. I wrote and edited a short video highlighting Genesis Foundation’s work to accompany the new website. I then created an official Facebook page and added the video. Almost immediately, it was shared 40 times, had approximately 1,800 views, and reached almost 5,000 people. I made sure there’s a social media pop-up when you scroll down to the bottom of each page. You can see organizational values starting to peek through the copy. Writing is about articulating who you are, and optimism is a huge part of their story. I knew not to stuff this website with sad looking photos of starving kids. I got them set up with Google Analytics. 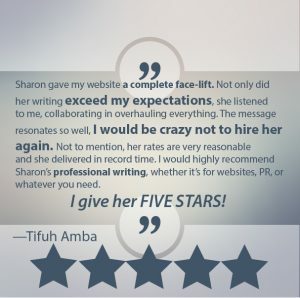 Would you like web copy that cuts to the chase of what makes you different? Call me today at (314) 896-0001 or click here. Click here to download my free resource on content marketing ideas for complex products.